Snook fishing in Southwest Florida really gets good when the water becomes warm from the long days of summer. This is the time of year the big females are cruising the beaches and passes. 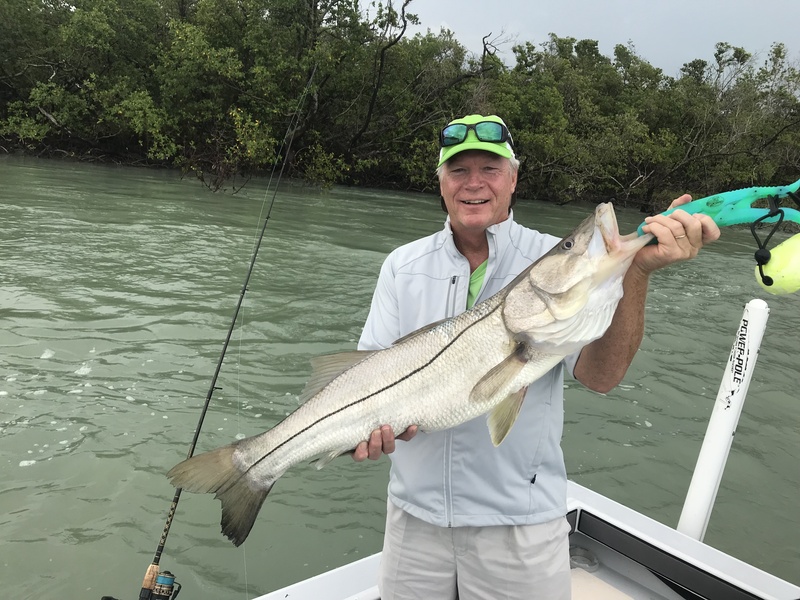 There is no better time of year to target a trophy Snook than right now, during the full moon cycles they spawn and typically are doing it (no pun intended) in passes and structure close to shore. Making it easier to target them. Fish will use the full moon as a time to spawn for the reason that the tides are stronger and nature will naturally carry their eggs further and with less effort on their part. As a general rule of thumb i use pinfish a lot this time of year, especially with Snook since the pinfish will go straight to the bottom where they will be. Jigheads, circle hooks, and a combination of live bait hooks will all work, tackle needs to beefed up a little since you are typically fishing them around structure and the fish are very strong. My tip is to start small, 30lb leader, 15lb braid, with a typical inshore rod. Then if i get broken off i scale up to larger tarpon rods with 60lb leader and slightly larger hooks. Pinfish can be found on any grass flat this time of year and the easiest way to get enough for the day is using chum and your favorite Calusa Cast Net. So if you want a shot at a trophy Snook this is the time to book a trip!